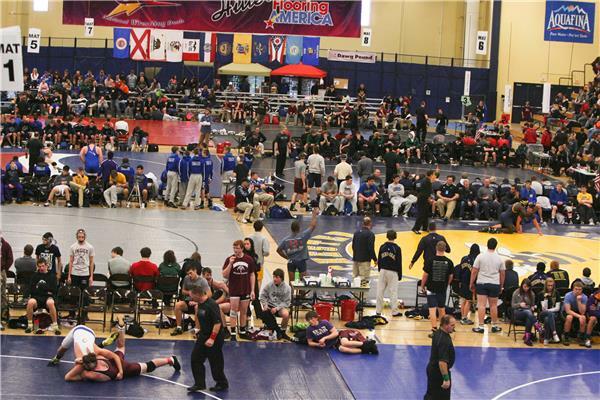 The Mason City wrestling team begins competition at 9 a.m. this morning at The Clash in Rochester, Minn.
Pin at 138 ends the dual. at 11. Not sure if it's against Independence or Adrian. Onoo finishes 6-0 at The Clash, Bartel goes 5-1 with a DQ (called with 3 seconds left and with a 4-3 lead). That would be a reference to MC state champ Jared Bartel who may have led the state in blood time his sr. year. That would be a reference to MC state champ Jared Bartel, who may have led the state in blood time his sr. year.